Some tragedies are unfortunately unavoidable, others the result of extreme negligence. As the evidence begins to formulate, it appears increasingly likely that the events at Grenfell Tower – near London’s Notting Hill – fall into the latter category. Twelve people are known to have died with more than 50 others currently being treated in hospital as the deadly inferno continues to rage on. Residents witnessing the blaze as it began spoke of how cladding, added to the building in a recent ‘refurbishment’, appeared to be highly flammable, “catching up like a matchstick” according to one. Another observer referred to the “shoddy plastic things” on the exterior of the tower that “set up alight”. Reports suggest this cladding was added to appease luxury property developers. Staggeringly, there were reportedly no fire alarms running through the entire building, with the block itself lacking an integrated fire alarm system – something which each individual flat was expected to possess. Quickly, the entire block was ablaze. Grenfell’s landlord – the Royal Borough of Kensington and Chelsea Tenant Management Organisation (KCTMO) – had previously been in receipt of legal warnings over fire safety in two other tower blocks, Adair and Hazelwood Towers, after in October 2015 50 people had to be rescued from their flats. Not long thereafter the London Fire Brigade issued an enforcement notice on both buildings, outlining a catalogue of failings. “It is a truly terrifying thought but the Grenfell Action Group firmly believe that only a catastrophic event will expose the ineptitude and incompetence of our landlord, the KCTMO, and bring an end to the dangerous living conditions and neglect of health and safety legislation that they inflict upon their tenants and leaseholders. We believe that the KCTMO are an evil, unprincipled, mini-mafia”. Those words, as of yesterday, were chillingly prophetic. Had the Grenfell Action Group been consulted this tragedy might never have happened. The decisions of landlords and the local authority regarding where to spend money, and where to not, is explicitly political. Accountability and justice are key. But there is also a bigger context we can’t ignore. Last year Labour proposed an amendment to the Government’s new Housing and Planning Bill – a raft of new laws aimed at reforming housing law in the UK. That amendment would have required that private landlords make their homes safe and “fit for human habitation”. It was rejected by the ruling Conservative Party. It should, quite rightly, make you feel sick to your gut. Teresa Pearce, the Shadow Housing Minister who proposed the amendment, spoke at the time of how renters lacked “basic consumer protection” when things went wrong. In response, the Government claimed the new law would result in “unnecessary regulation” and that the proposed fines were bad for tenants as those facing them would have to push up rents. The easy way to get around that, of course, is to not profit from renting out deathtraps, or homes unfit for humans to live in. The real reason why the Tories saw the amendment away would seem not to lie in concern about rents being pushed up. According to Parliament’s register of interests, some 70 of the MPs who voted against it were themselves landlords deriving an income from a rental property. A list of those MPs is available online. Be under no illusion, not one of them should be allowed to continue in their parliamentary role. We have a government of the landlords, by the landlords, for the landlords – and self-interest should play no part in politics. 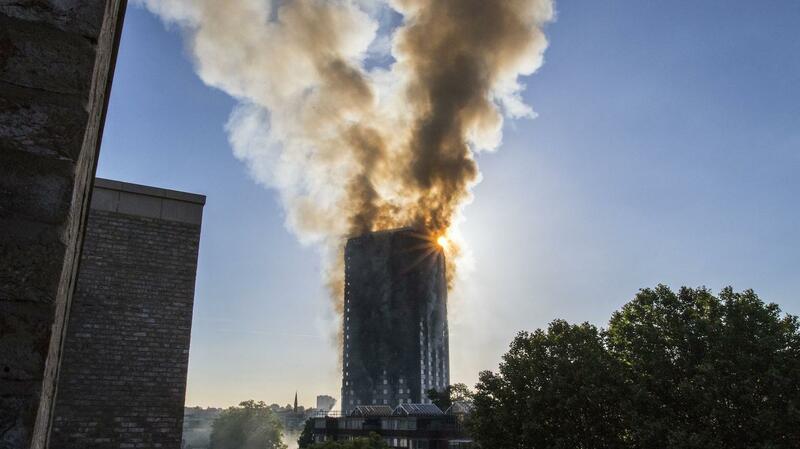 A coroner’s investigation into a previous fire in 2009, when six people lost their lives at the Lakanal House tower block in South London, found that panels on the block’s exterior failed to provide adequate fire resistance while insufficient fire risk assessments had been made – a situation which bares a remarkable resemblance to Grenfell Tower this morning. That investigation culminated in a series of recommendations published in a report in 2013. But while some have been taken up, a full review of building regulations has yet to take place. A former Chief Fire Officer and secretary of a parliamentary group on fire safety today spoke of how successive housing ministers had damning evidence on their desks since 2013 – and an overwhelmingly obvious case to change the law – and yet they did nothing. And the Labour MP who chairs the group, Jim Fitzpatrick, said ministers had “sat on” the recommendations for almost four years. Gavin Barwell, who was housing minister until losing his Croydon Central seat in last week’s election, promised to review part B of the Building Regulations 2010, which relates to fire safety, but the review never materialised. Barwell is now Theresa May’s Chief of Staff and he – like the 70+ Tory MPs who voted against minimal standards of safety for those who rent – has questions to answer. The devastating event brings several key points into focus here: how the emergency services are a precious part of our society – keeping us safe, healthy and, yes, alive, in the most troubling of circumstances. They are the very best among us – and should be compensated as such rather than cut to the bone and pushed until they break – an inevitability given the 10,000 frontline firefighters who have been cut since 2010. For too long in Britain’s rigged economy the poor and middle classes have been looked upon by the powerful and their friends – including respective governments – as little more than cash cows, a means to make money. That holds true with our privatised trains and energy utilities as well as runaway rents and rigged taxation system. In return the ordinary person receives increasingly little, except the establishment calling them workshy, useless and unappreciative. It can stop, and it will. Shame on Gavin Barwell and those Tories who voted against the proposed amendment to the Government’s Housing and Planning Bill. And on KCTMO. This tragedy should never have come to pass in 21st century Britain. The fatal tragedy that became of Grenfell Tower, is a portrait of modern Britain: the best of us looking out for one another, while the very worst empty your pocket. So, those that claim this isn’t political, are being disrespectful and insulting to those who are suffering or who’ve lost their lives.